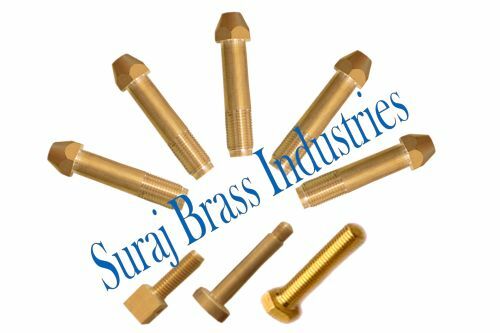 We are listed as one of the most eminent Brass Bolts Manufacturers in India. The use of premium quality brass in the manufacturing of the Brass Hex Bolts ensures high durability, tensile strength and resistivity to adverse conditions. The unmatched quality and unsurpassable performance has made the Brass Split Bolts ideal for various industrial applications. Additionally, we also offer customized Brass Metal Bolts as per the specifications and drawings provided.